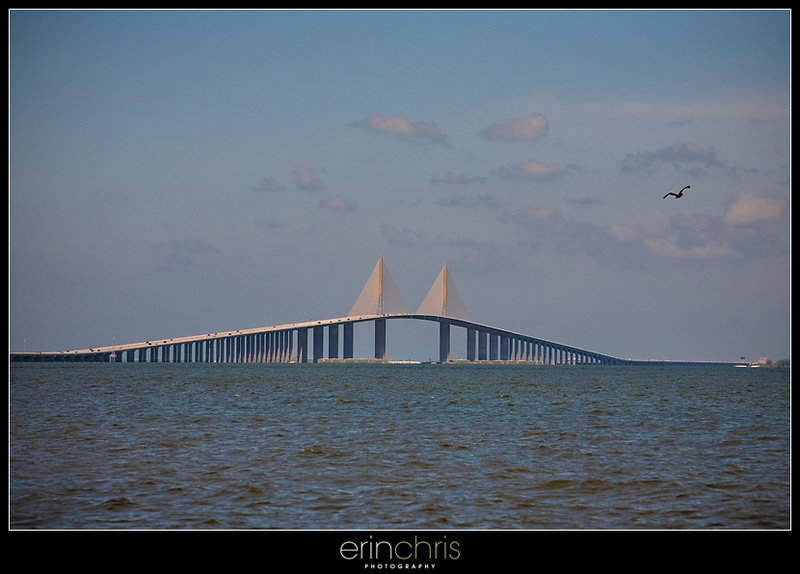 Ever since we moved to Florida, I've wanted to take photos of the Sunshine Skyway Bridge. 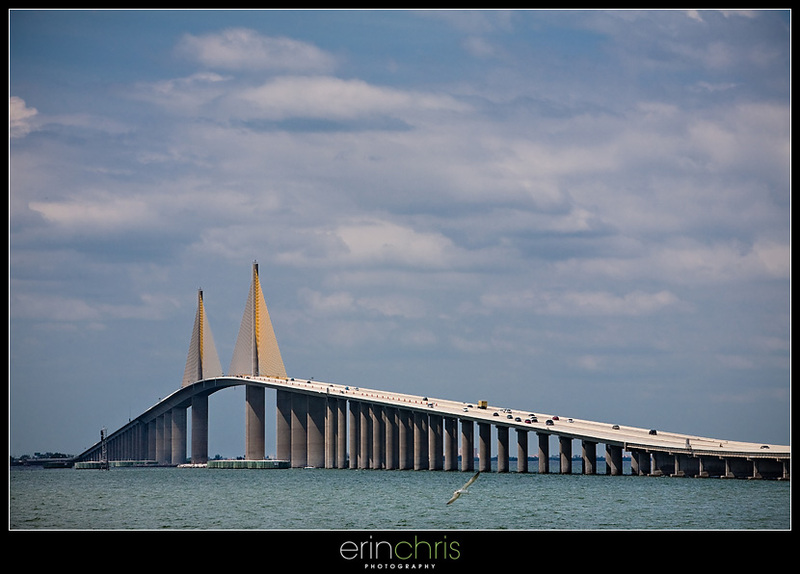 We recently ventured down that way, and drove around the rest stop and fishing pier on the south end of the bridge which is part of the old bridge that used to connect St. Petersburg to the Sarasota/Bradenton area. 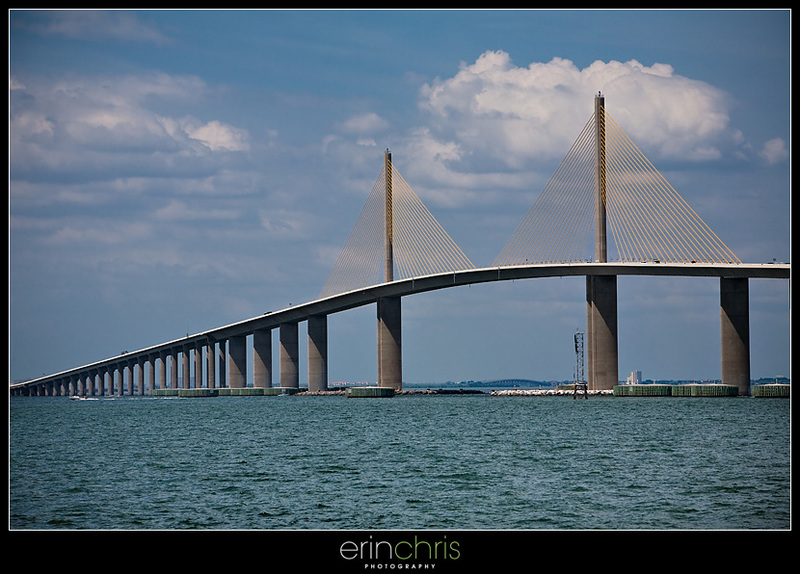 After the old bridge was hit by a freighter and collapsed, the new bridge was built and it's recognized for its bright yellow suspension cables. 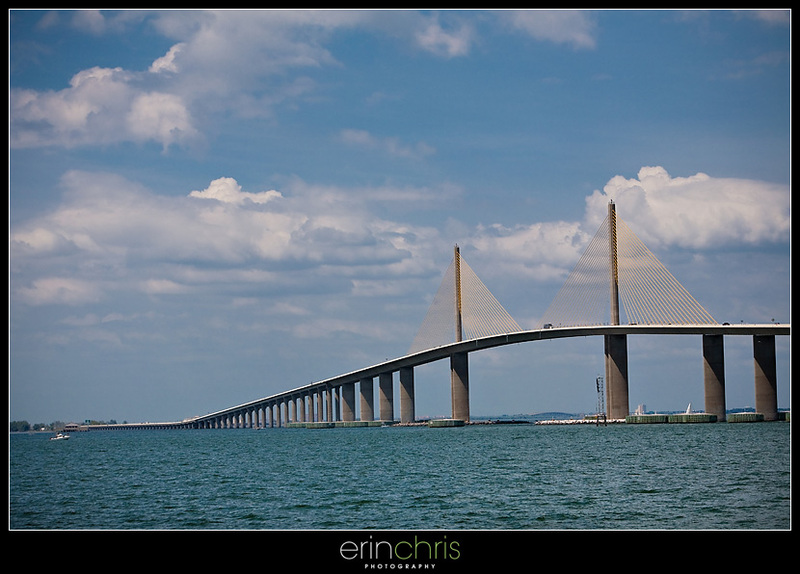 The Skyway is listed as one of the Travel Channel's "Top 10 Bridges" in the world, which was all the more reason to indulge into my bridge obsession. 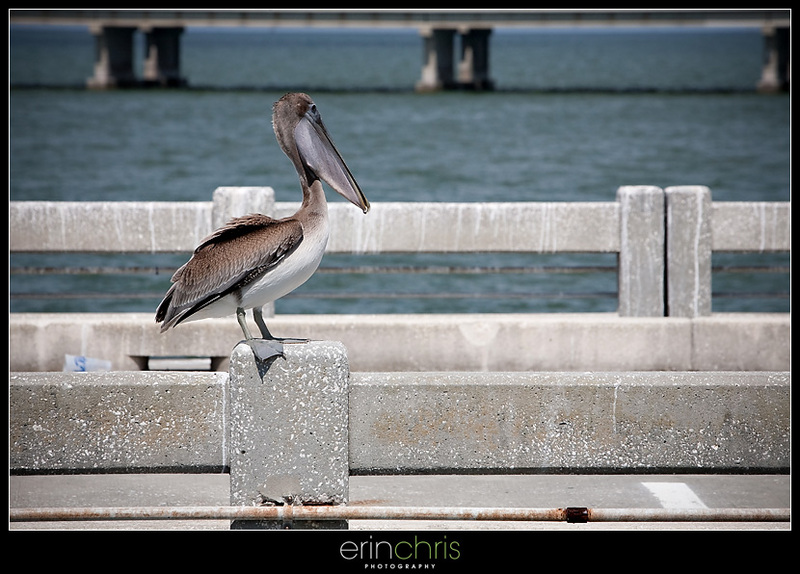 When we drove out on the south fishing pier there were lots of pelicans scoping out their lunch in the water below. Again, beautiful pics!!! 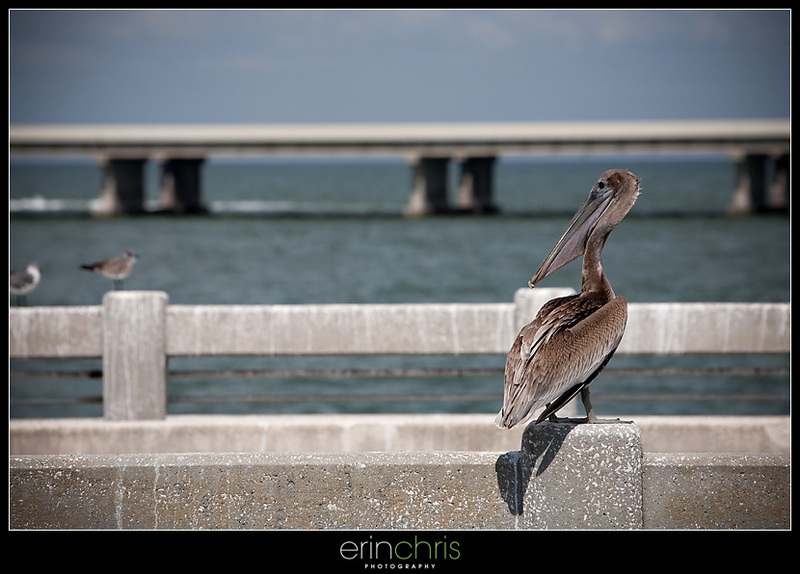 The last one I think is my favorite, and I love the pelicans too...so cute!! erin, i sent these pics to my boss, an engineer who worked on this bridge. he thought they were gorgeous and he's "saving them." :-) nice work! oh and congrats on the little one, too!